A Different Kind of Vacation Experience! It's the dramatic sunset highlighting the serene surface of the lake. It's the canopy of a million stars, sparkling like diamonds overhead and the gentle soothing rhythm of the waves as they lap against the side of your vessel. 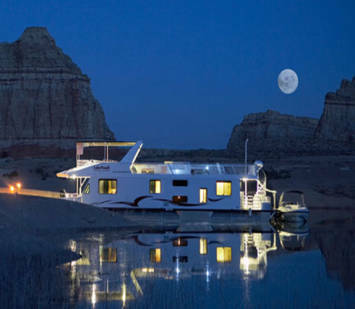 It's houseboating on Lake Powell and it's unlike any experience you have had before. The gentle breeze, the shimmering lake, the mosaic of changing colors painted by the sun. There is nothing that can bring a family or group of friends together better than houseboating. Sharing adventures and magnificent scenery together at your own leisurely pace. How often do you take time out of your hectic life to just relax? 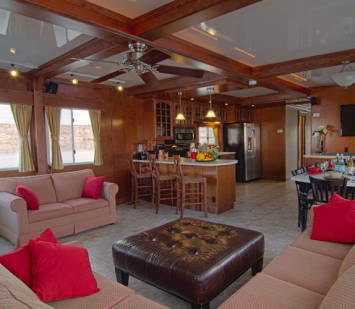 A houseboat on Lake Powell is the perfect antidote to stress. Discover private coves to moor your houseboat, sandy beaches to enjoy a picnic and a bonfire. Catch up with family and friends in a perfect environment. Sounds like a throwback to another time. Maybe it's time you made some vacation plans that will last a lifetime. Houseboating on Lake Powell is freedom and it's unforgettable. Set yourself free and release the inner explorer in you. Looking to Make Some Waves? Lake Powell is America's Premier Inland Water Playground. Lake Powell offers ample opportunity for you to "make waves". If you are an active adventurer you are in the right place. 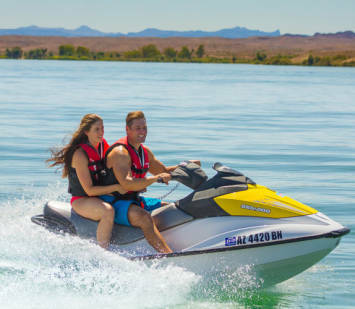 Add some action 'toys' to your houseboat package and you can be water skiing or tubing. How about a jet ski to explore those coves. Fishing is great at Lake Powell. Smallmouth, largemouth, and striped bass, as well as walleye, catfish, crappie, and carp, are all plentiful. You can even arrange licenses to fish the entire lake (Arizona and Utah). Consider hiking canyons accessible from private beaches, biking, horseback riding, hot air ballooning, even scuba diving in the clear waters. Golf can be found at the 18-hole Lake Powell National Golf Course with its spectacular setting amidst red sandstone bluffs with endless views. At the end of the day you can relax with a cold drink as the sun sets and stars come out to play. Time for a buddy break, a girls escape, or corporate team building. 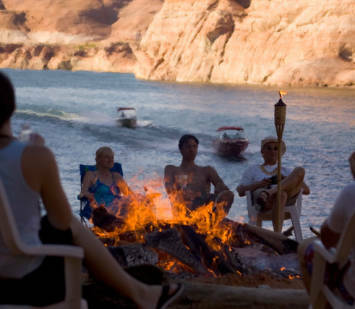 Lake Powell is the perfect destination for a fun filled retreat. Come to swim, play or fish... Great fishing can be found in the crystal clear water. Catch Bass, Walleye or Catfish. Perhaps you seek an extra burst of adrenaline. Go grab a power boat, or personal watercraft and water ski, pull a tube, or a grab a jet ski. Lake Powell has 1,960 miles of discoverable shoreline and is 186 miles long and 25 miles wide, providing the perfect backdrop for any water adventure you have in mind. At the end of a fun day relax over a nice meal and a glass of wine as you star gaze listening to music. Take all the Comforts of Home Anywhere on the Water! Today's houseboats are more like floating vacation homes – but better. You will be amazed at what you will find onboard your houseboat. Depending on your houseboat selection, you will find perfectly appointed staterooms with private bathrooms and showers, air conditioning, ceiling fans, satellite TV's, hot tubs, refrigerators, oven, dishwasher, microwave… everything plus the kitchen sink! Outside you will find swim platforms, slides, wet bar, BBQ grills, spas… everything you will need and then some. Our team of experts will help you plan your ideal houseboat vacation. We know the lakes, what's around the lakes, the houseboats, the things you need to know when planning your trip. Over the years Houseboat Reservation's parent company, National Park Reservations, has helped millions of people find the ideal National Park vacation. It is that same customer driven focus that we bring to assist you in finding the right houseboat, in the right location, at the right price. We make sure you have the best price. We can also help with lodging arrangements as well. We are your one stop shop. Our team of experts will help you plan your ideal houseboat vacation. We know the lakes, what's around the lakes, the houseboats, the things you need to know when planning your trip. We know the great outdoors better than anyone. 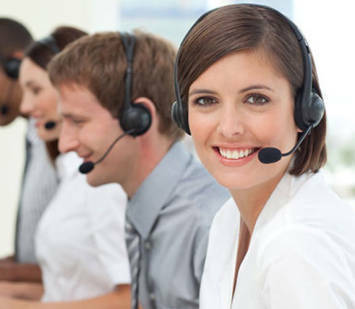 Our satisfaction comes as a result of our satisfied clients.